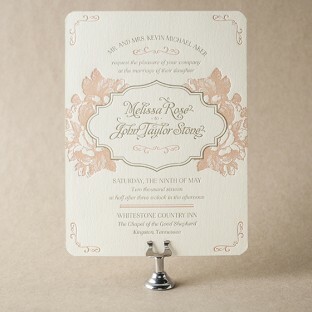 We absolutely loved working with Kelly on her gorgeous letterpress wedding invitations! 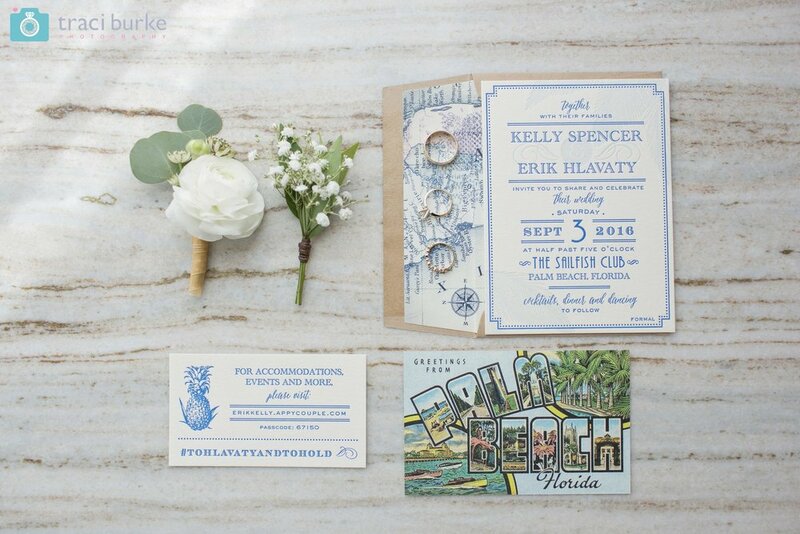 These were inspired by an engagement invitation we previously created, but we updated the look with palm fronds, new ink choices, and a custom vintage Palm Beach reply postcard (with a mad-libs style reply area on the reverse!). Beautiful wedding photos by Traci Burke Photography and event planning by Allison of The Golden Pineapple Event Company. Amanda and Andrew’s invitations for their Delray Beach wedding at the Seagate Country Club were the perfect blend of traditional and personal. They carried their monogram through all of their wedding stationery, from their save the dates to place cards, napkins, programs, and menus. Our favorite part of their wedding invitation set is the envelope liner, which features a map of the Delray Beach area in blush pink, customized with their monogram on top. Tammy and Jean-Paul’s formal, black-tie wedding invitations are nothing short of incredible! Their black and silver color palette was carried through the set with black and metallic silver papers, black ink and silver foil, black hand calligraphy, and silver foil edging. The formal, somewhat traditional fonts feel more contemporary when paired with this ornate back pattern in silver foil - and the foil edge truly pops on their triple-thick paper! We can customize any of our designs for a party or event invitation - but for Fernanda, we created a completely custom logo from scratch for her graduation party (and for her to use as branding!). We just love how the cobalt blue pops against the bright white paper - but the custom wax seal really brings the set together. Lindsy Talarico's designs are always among our best-sellers by Bella Figura - and if you place your order with us using one of her designs by January 31, you'll save 10% on your entire order! Whether you’re ordering save the dates, wedding invitations, birth announcements, party invitations, or personal stationery, this offer applies to it all! Plus, you can save an extra 10% when you order 6 printed pieces or more. We are thrilled to announce that the 2016 Bella Figura collection is now available at The Windmill! 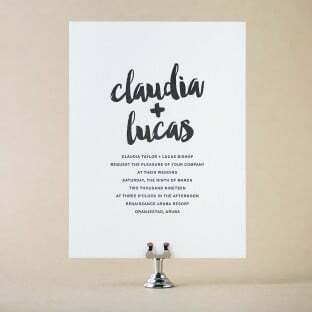 Bella Figura is an artisan letterpress print shop, specializing in handcrafted eco-friendly letterpress wedding invitations and stationery, printed on their beautiful 100% reclaimed cotton paper. 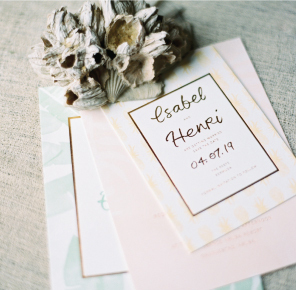 With over 360 designs, they have one of the largest collections of letterpress and foil-stamped invitation designs in the world. They offer a huge variety of design styles, from traditional to modern to vintage and everything in between. Plus, everything is customizable - colors, fonts, calligraphy, motifs, layout, edge painting, pocketfolds, envelope liners, and more. 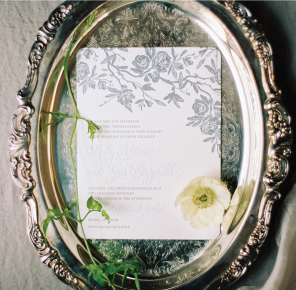 Make an appointment to meet with us one-on-one and find your dream invitation!